Wasn't the blog hop fun?? Thanks to everyone for suggesting neat things to embroider! I'm getting my machine tomorrow morning- instead of driving up 45min to the fedEx location tonight, my husband is going to a men's breakfast tomorrow morning at church that's near there, so I can TRY to patiently wait for it then. Should I do a de-stash giveaway? They may not be pretty fabrics or things- well I guess that's in the eye of the beholder right!? Also any suggestions to what to make with my scraps now? Congratulations to the winner. And thank you for the chance to enter your giveaway. I think destash giveaways sound really good. People love any kind of fabric or sewing / quilting related items. Some folks just starting out do not have those quilting stashes yet. Like myself. But seriously I see where newbies post all the times on the blogs. And any kind of scraps are great hits too. Scrap quilts seem to be the rage these days. Have a great weekend. Congrats to the winner and I can imagine how anxious you are for your new embroidery machine!! Can't wait to see what beautiful projects you do! I've been following Bonnie Hunter doing a Sister's Choice quilt to use up my scraps. Easy breezy, and fun! 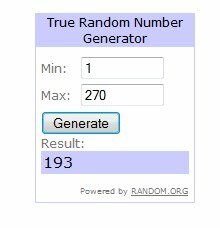 A destash giveaway would be awesome! What kind of embroidery machine are you getting? Congrats! I bet it is hard to wait!